Chris asked me some time ago to write about the Cold Air Intake upgrade and to try to clarify it. I have to admit there is so much talking about it and I couldn’t find any study out there that is supported by numbers. Only opinions of BMW E36 drivers who actually either created their own Cold Air Intake (CAI) or bought a kit to do that. The air intake system in your car is where the engine gets oxygen in order to create combustion. When the combustion occurs, your engine will use the resulting energy to generate power. So, if we could feed the engine more oxygen molecules, we should get a better combustion and thus more power. We also know that colder air is denser than warmer air and will thus have more oxygen molecules. So, upgrading the air intake system in your car to get cooler air will, in theory, provide a better combustion and thus more power. 1. Sound:- The cold air intake will change your engine sound. You can hear the engine whistle in on the intake and you can hear a little deeper exhaust sound too. 3. Cool looks:- The cold air intake will give your engine a cool look as a performance car instead of a normal BMW. 1. BMW Engineers are not dump:- If you follow this rule, you will definitely know that your upgrade for the car intake is useless because BMW engineers know what they’re doing and I’m 100% sure that they’re not going to let 5 or 10 more HPs to be lost from your engine just because they don’t want to install a K&N filter. BMW already engineered the air box to keep most of the heat out. 2. The fuel/air management system doesn’t adjust if there is a small change in the temp of the intake air. 3. Cold air is always closer to the ground in the summer so it’s a good idea to make the intake get the air down from the bottom of the front bumper instead of the engine bay. 4. If you decided that you don’t want to get the air like described in point 3 above, you should remember that you will need to create a heat shield to prevent the hot air in the engine bay from reaching to your K&N filter (regardless of where you put it). As you can see, there are many factors that will cause the CAI upgrade to be useless and thus not to give you the horse power increase that you were wishing for. 1. 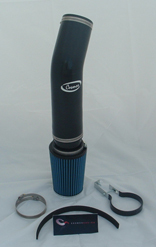 Cosmos Cold Air Intake: Make sure to get the water shield and the amsoil filter. 2. Umnitza Carbon Fiber Intake. 3. Conforti Cold Air Intake Kit. Well, I’m not convinced that you’re going to get any noticeable gain in performance from installing paroxetine buy online, order dapoxetine. a cold air intake (CAI) kit. There is nothing wrong with the stock paper air filter. It is good enough for other great BMW cars and it’s definitely good enough for your E36. So, I think that the people who actually install it do that for the wrong reasons. I’m not saying that there’s something wrong with getting a nice sound out of your car. It’s your choice after all, but I would recommend getting a cheap air intake and create a heat shield if you’re going to do it anyway. You can invest your 200-400 dollars somewhere else. If you have a cold air intake, lets here your opinion. Did you notice any performance gain after installing it?